"Never trust the white man." Magnolia Pictures has debuted the first official trailer for an indie drama titled Tyrel, the latest feature from Chilean filmmaker Sebastián Silva (of Crystal Fairy & the Magical Cactus, Magic Magic, Nasty Baby). This premiered at the Sundance Film Festival this year, and it also played at the Seattle and Sydney Film Festivals. 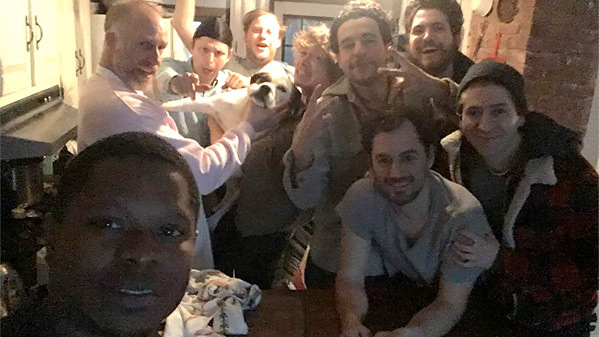 The film stars Jason Mitchell as a guy named Tyler, who joins one of his friends for a party at a cabin in the woods. After arriving, he discovers he's the only black guy there and things start to get nerve-wracking. Also starring Christopher Abbott, Nicolas Arze, Roddy Bottum, Michael Cera, Philip Ettinger, Caleb Landry Jones, Michael Zegen, and Ann Dowd. I saw this film at Sundance and didn't really like it. Though it seems like Get Out, it's more like the anti-Get Out. Have fun. Tyrel follows Tyler (Jason Mitchell), who joins his friend on a trip to the Catskills for a weekend birthday party with several people he doesn’t know. As soon as they get there, it's clear that (1) he’s the only black guy, and (2) it's going to be a weekend of heavy drinking. Although Tyler is welcomed, he can't help but feel uneasy in "Whitesville." The combination of all the testosterone and alcohol starts to get out of hand, and Tyler's precarious situation starts to feel like a nightmare. Tyrel is written and directed by Chilean filmmaker Sebastián Silva, of the films Life Kills Me, The Maid, Old Cats, Crystal Fairy & the Magical Cactus, Magic Magic, and Nasty Baby previously. This first premiered at the Sundance Film Festival earlier this year. 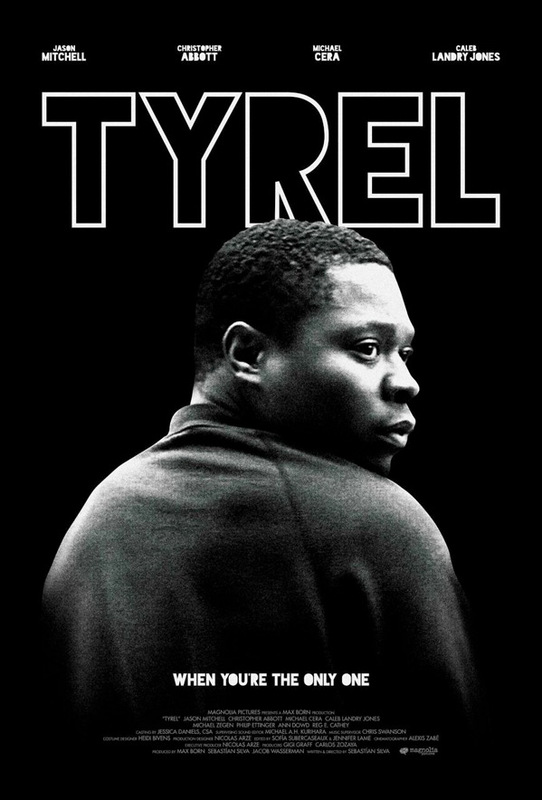 Magnolia will release Silva's Tyrel in select theaters starting December 5th in the fall. Curious?